To make full use of the unique properties of lasers, one needs an understanding of the fundamental principles which govern their operation. In the first two sections of this chapter we provide an introductory discussion, which should be sufficient for most of the applications treated elsewhere in the book. Extensive representations of the subject can be found in various textbooks, to which the reader is referred [3.1–7]. Chapters 4 and 5 require working knowledge of spectroscopic concepts. An overview of the topics important for chemical lasers and laser chemistry is provided in Sect.3.3. Standard monographs should be consulted for detailed and systematic discussions [3.8–14]. 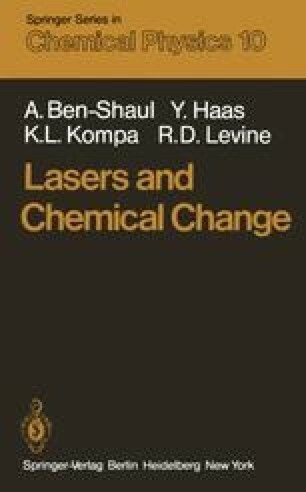 A description of some of the more important laser sources used by chemists is given in the last section. In view of the rapid technological developments in the field, quoted specifications should not be considered as a state of the art. Better performances of existing lasers and novel transitions are announced virtually by the day!